That’s what Jack told Edwin as he was cleaning up the kitchen after breakfast. Mona couldn’t help but notice Edwin’s cleaning and giving Jack pointed looks. I laughed at her antics and told her she could expect that after 12 years of being together. Oh, the things we have to look forward too. “I bet you never thought I’d end up with someone like this,” MJ commented while giving Leon a playful shove. That’s how MJ is – she’s playful, energetic, and excited to try new things. It’s not that Leon is not any of those things, but he’s definitely more…east coast. More of a direct, no nonsense, cut and dry kind of guy. And that’s what makes them work so well as a couple – they push each other to do things outside of their comfort zones. Like how MJ makes Leon do things like pose in ridiculous positions. And how Leon makes MJ do things like be on time. She’s constantly trying to push the boundaries and go in different directions, and Leon helps her focus all that energy. Ah, the New York humidity. It’s been nine long months since the last time I was in New York, and even longer since I’ve felt that warm, moist dampness of summer. I’d forgotten how sticky it can make a person feel, but even then I was happy to be back. I’ve been getting a little too spoiled with the dry heat of LA. Edwin and I were lucky enough to spend a relaxing Labor Day weekend in NYC, catching up with friends, visiting old haunts, and, of course, eating. It was fun, if just a little unsettling, to notice how things have changed but have also stayed so much the same. And I finally, finally got to visit the Highline, which opened after I moved from the city – it is officially my favorite NYC park. Walking on the Highline, I couldn’t get over what a great place it would be for an engagement shoot, so of course I had to drag Nat and Pat over there for some photos. When I met Pat several years ago, he was already engaged to Natalie. They had been together forever – really, since their freshman year of college. 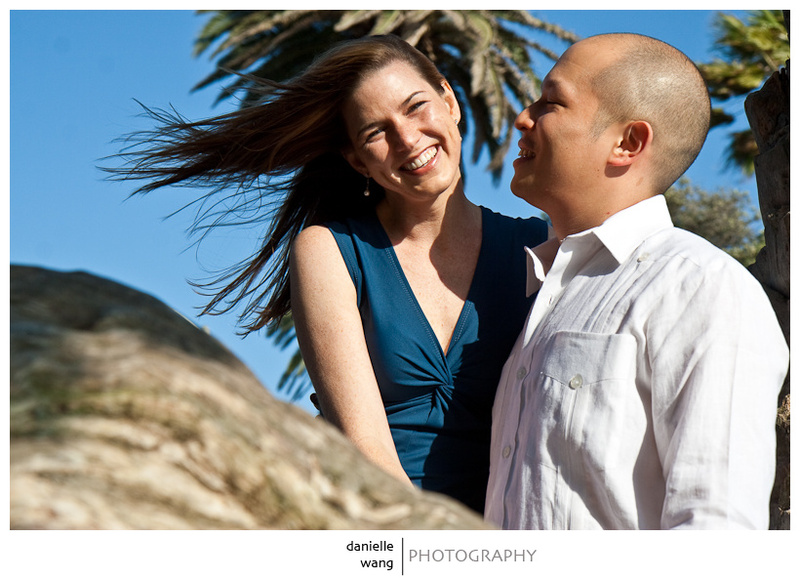 Back then I was just starting to take photography a little more seriously and half-jokingly offered to take some engagement photos for them. I was excited (and a little scared) when Pat readily agreed – he seemed more ecstatic about it than I did! 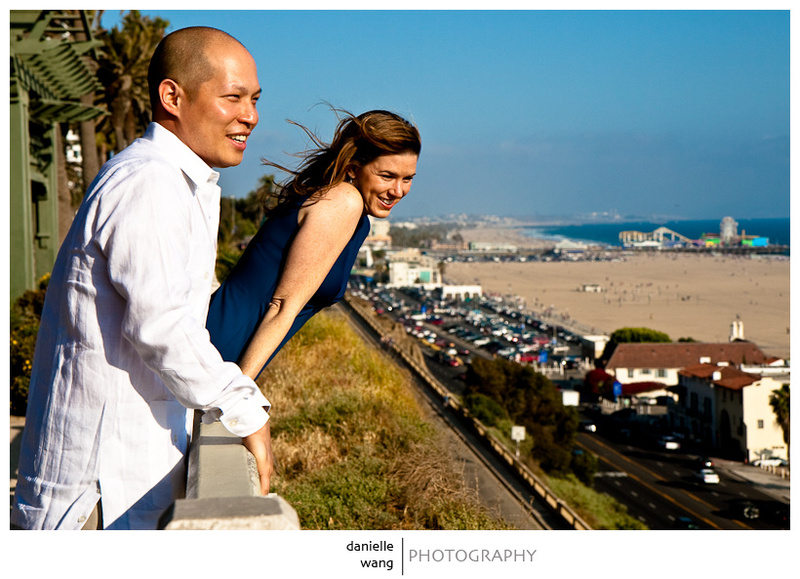 Let’s just say that the first engagement shoot we had planned…didn’t happen. Thankfully, things worked out as they were meant to be, and Nat and Pat will be tying the knot at the end of this month. 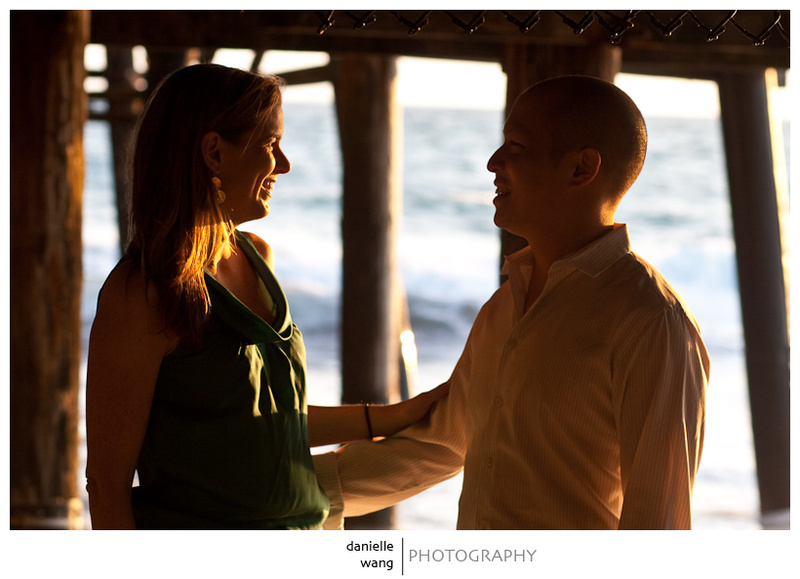 They’ve commissioned the amazing Jose Villa to document their special day, and took some beautiful engagement photos out in Santa Barbara a few months back. 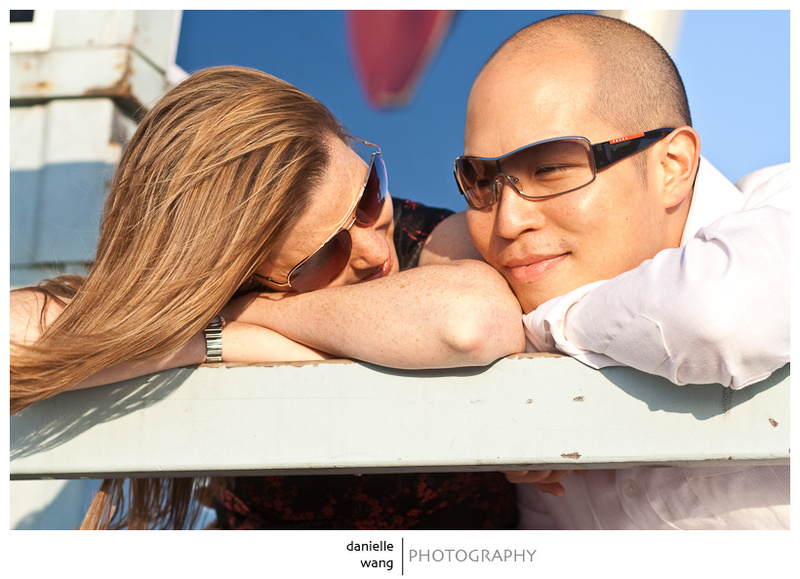 So while I’m not photographing their wedding, I was happy to capture some engagement photos for them in New York. 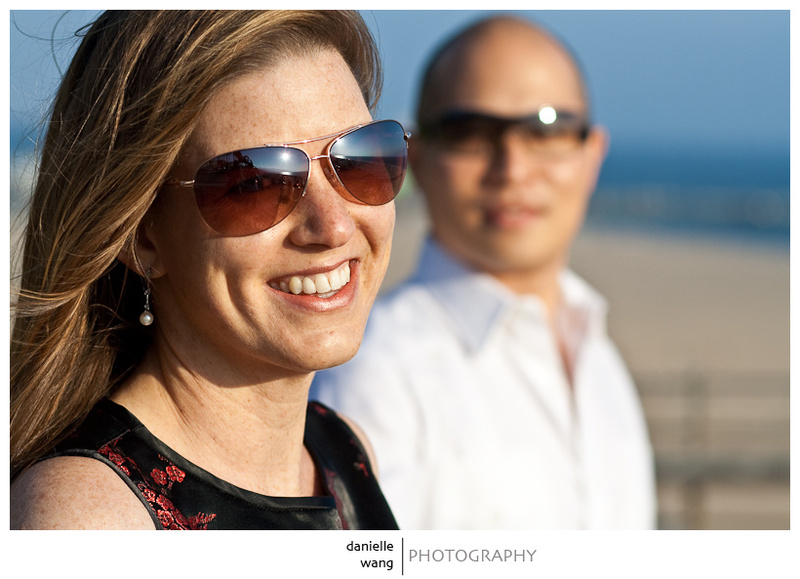 A big thank you to Nat and Pat for putting up with me and the NYC crowds (in hindsight, I guess shooting in the city on a holiday weekend was probably less than ideal!). I know how uncomfortable you guys feel in front of the camera, but really there is no reason to be. You guys rocked it. Our last shot of the day. We hoofed it from the Highline over to the Brooklyn Bridge and caught the last rays of light. I’ve never seen the bridge so crowded, but managed to get this shot back towards the Financial District. 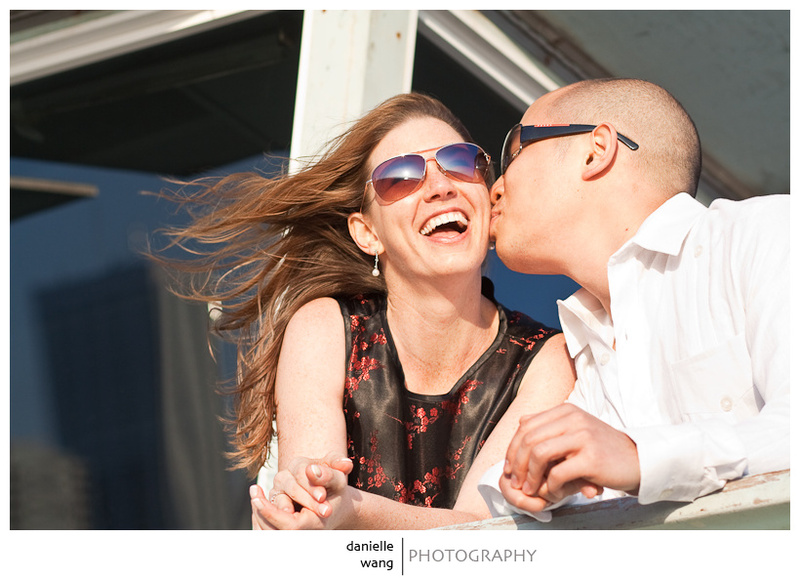 To see a slideshow of Nat & Pat’s NYC engagement session, just click here! Last month I had the privilege of attending a friend’s wedding in the south of France, which gave me and Edwin a great excuse to take a vacation. I’m still working through all the photos, but for now I’m posting just a few photos I took during the trip. These feet don’t belong to the bride & groom, but two friends who got engaged soon after this photo was taken. Owners of said feet. Turns out Eleanor and Andrew were secretly “interviewing” me for their future engagement shoot during our friend’s wedding. Really. As I was shooting random photos, they informed me that this was my test to see if I would be bestowed the honor of shooting their engagement / wedding. Gee, thanks guys. For putting me on the spot. Think I got the gig? 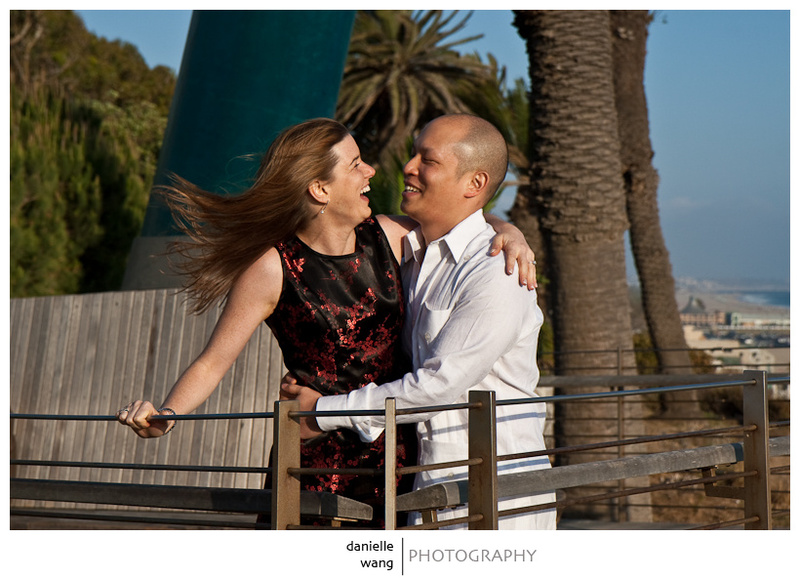 Congratulations on the engagement Eleanor & Andrew! Can’t wait to celebrate with you guys in person. “I call it fish candy,” Lisa told me, her eyes gleaming in anticipation of what we were about to experience. 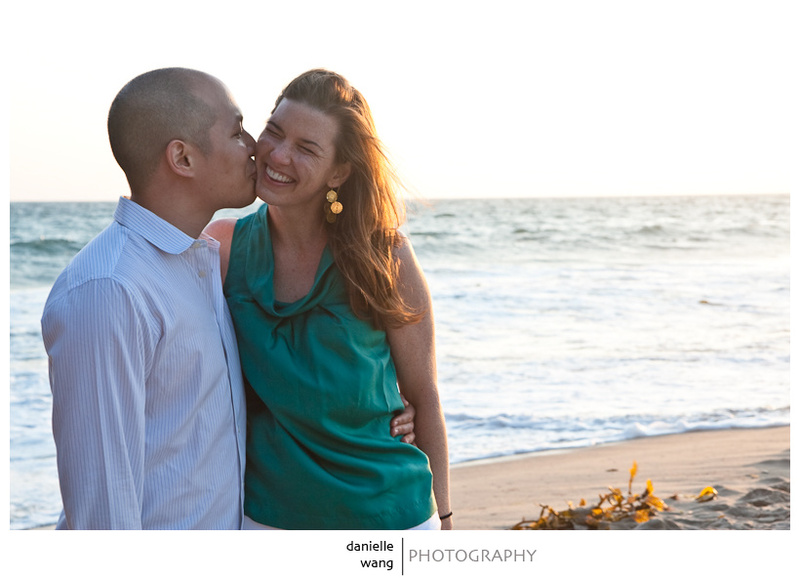 Lisa and Tony were treating us to a home-cooked meal after a chilly evening of shooting in Santa Monica. Tony is an avid chef (Lisa says she’s just his helper), whose love for cooking was rejuvenated after some late night Food Network watching a few years back. 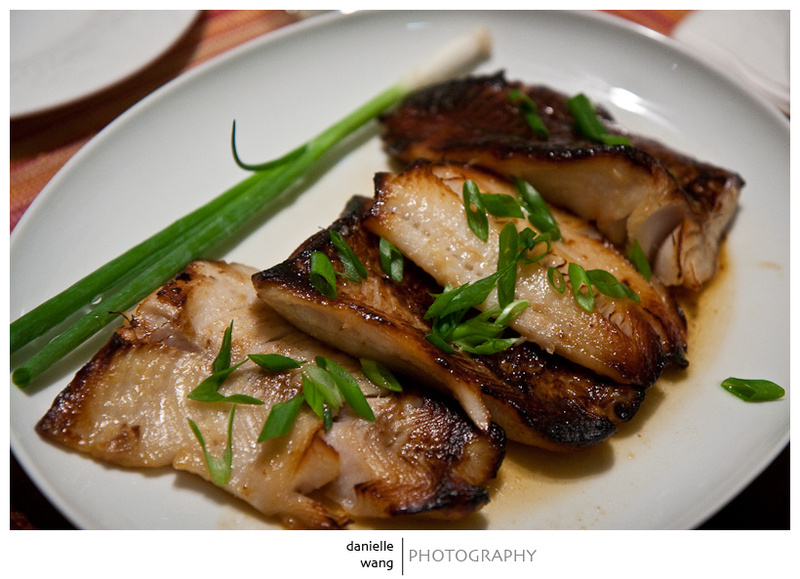 Tonight, he was preparing one of his specialties: black cod marinated – for three days! – in miso and some other yummy stuff, broiled, and then baked. Fish candy indeed. And it wasn’t just fish candy, it was the dish that won Lisa’s heart. Although Lisa and Tony’s love for good eating plays a big role in their life, it’s eclipsed by their genuine love for each other. I’m not sure how else to describe it, but their love just feels very bright and happy. 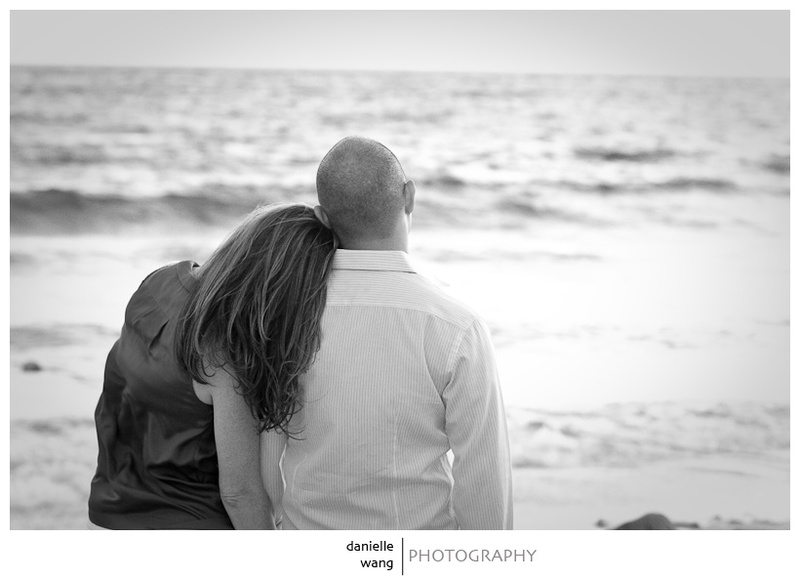 I think it stems from the fact that they have an uncanny amount of things in common, and they just fully understand one another, which was clearly apparent during their engagement shoot. Like through the way Lisa would rub Tony’s newly shaven head. Or how Tony brought a jacket for Lisa even though she already grabbed a pashmina – because he knew that she would need more than that later (and she did!). Needless to say, it was a blast to spend an evening with Lisa and Tony. 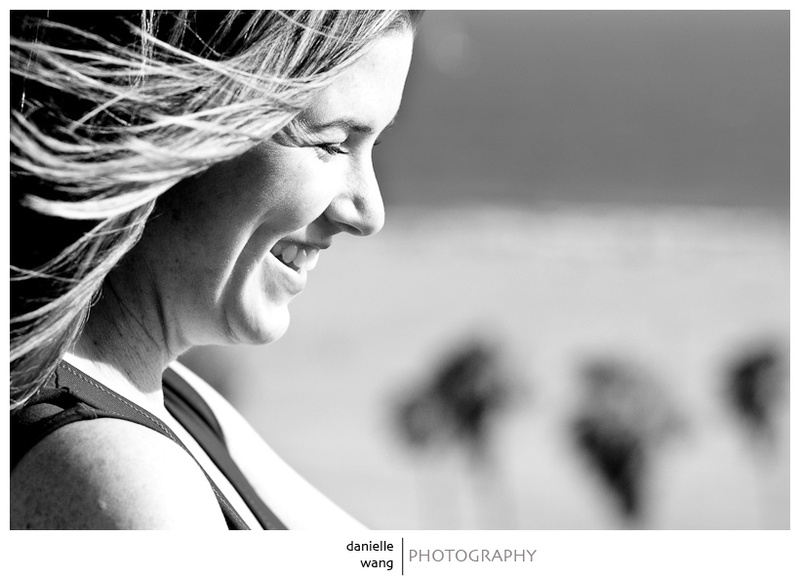 Good photos, good food, good wine, great friends…lots of laughter. What more could one ask for? 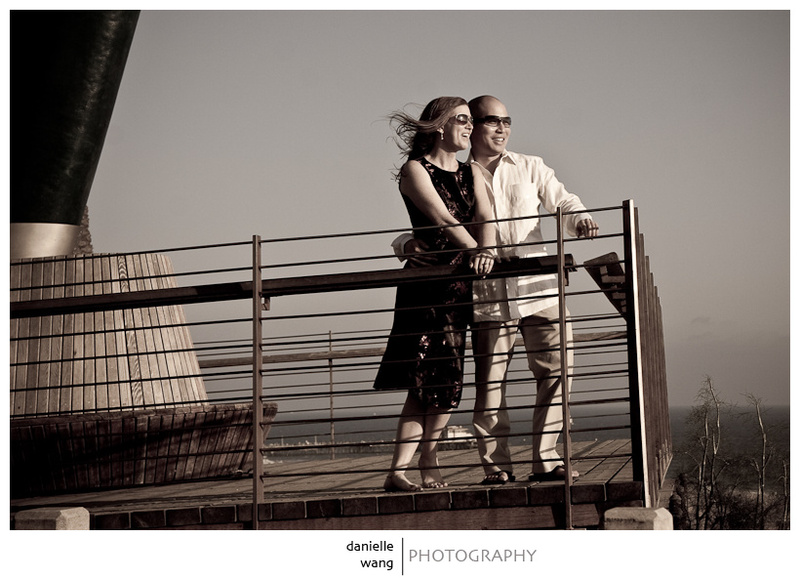 Lisa and Tony – congratulations again! 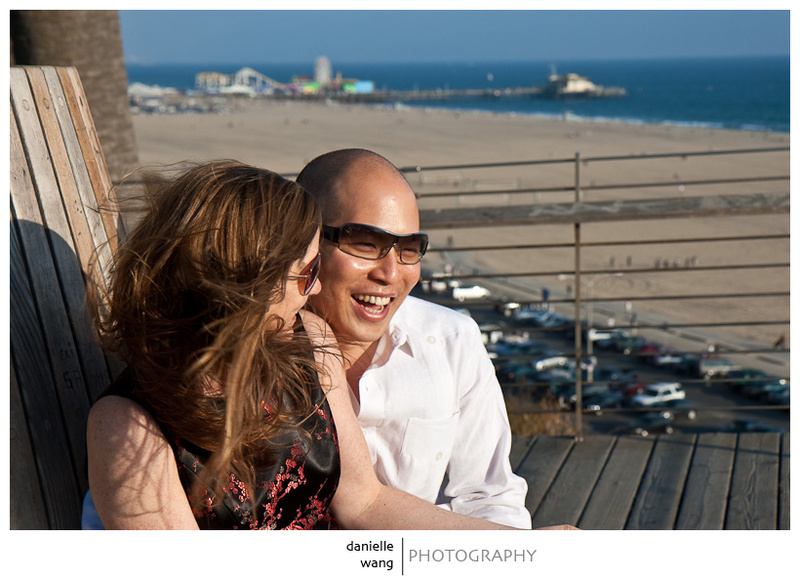 Edwin and I had a wonderful time (shooting and eating!) and we can’t wait to see you two get married in just a couple of weeks! 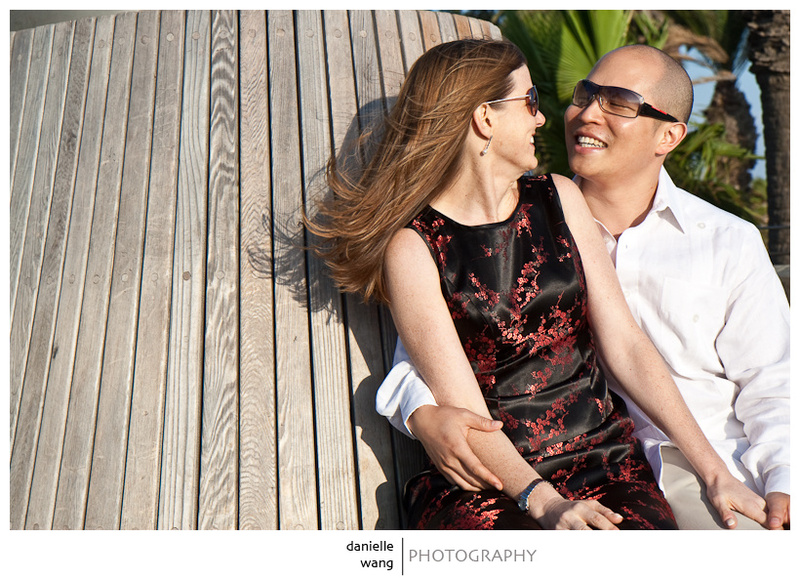 To see more photos of Lisa and Tony, just click here!